BOOMKATS is a brand of clothes for pole dance with custom, all over printed graphics. Unlike ordinary colored pole wear, our specially designed graphics match your pole personality and body shape. Everything you need to embrace your pole persona and reveal the confident you. Want to know our story? And get to know us better? Then this interview just might interest you. Did you know that the number of BOOMKATS fans has doubled in one year alone? We must be doing something right! 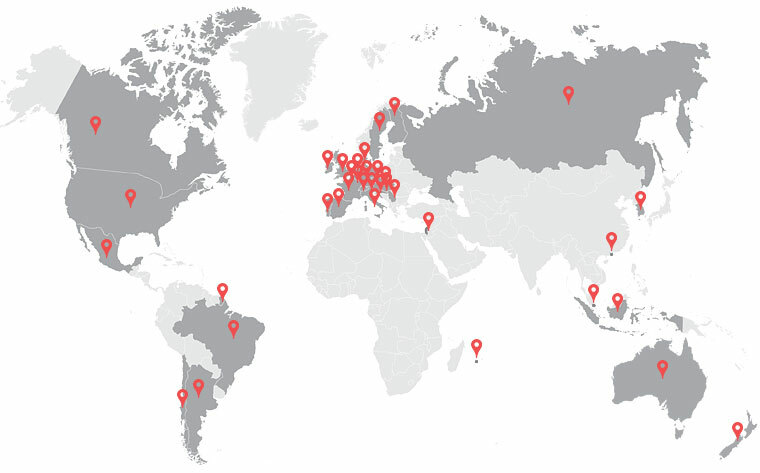 You wear our pole clothes in more than 35 countries, on all 6 continents! Please, let us know what keeps you coming back for more. This enables us to continue providing the best experience possible for you and helps other pole dancers understand how can BOOMKATS make their life easier. All of our pole wear comes in a gift box. So all you have to do is just put a bow on it and you’re ready to send a gift to your pole sister! You want to get inspired? Click here for the Ultimate Pole Dance Gift Guide. Not all pole wear combinations are shown in this video. So take a look at our flip-through Catalog where you’ll find all BOOMKATS pole wear and pole accessories. Like that you’ll get loads of ideas on how to mix and match yourself. Are you a pole dance studio owner? Interested in wholesale? In affiliate? Or you just want to chat? Ask us anything!